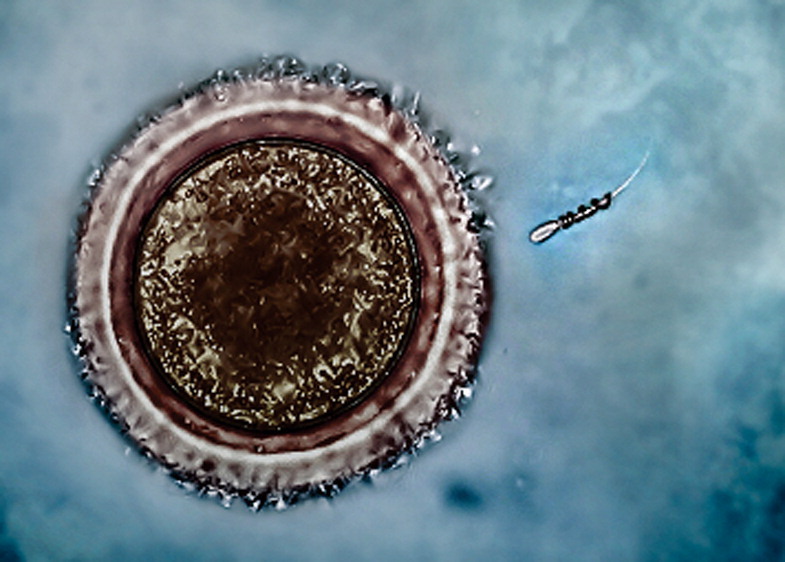 Could "spermbots" someday revolutionize infertility treatments? A German research team has developed tiny motors that can make sperm better swimmers as they make their way to an egg. The team from the Institute for Integrative Nanosciences at IFW Dresden in Germany recently published their research in the journal Nano Letters. The so-called spermbots basically consist of a tiny micromotor, a spiraled piece of metal that wraps around the tail of a sperm and serves as an "on-board power supply," the researchers say.This helps the sperm swim swiftly to the egg, and as the sperm makes contact for fertilization, the motor slips off. These microscopic robotic motors were inspired by their natural counterparts, the flagella and cilia that are used for the propulsion of living microorganisms, according to the paper. This project was originally conceived about two years ago, with the team conducting experiments in the lab with actual oocytes, or a female gametocyte -- a germ cell that is involved in reproduction, Oliver Schmidt, the institute's director, explained in an email to CBS News. But so far, there have been no human trials with this nanotechnology. The researchers say this is not feasible yet. "Before we can think of human trials, the next step would first be to actually achieve successful fertilization in our labs with the current setup," Schmidt wrote. "Starting from that, there will be numerous technical and biological obstacles to face that we have to address very carefully before any clinical trial. So, while there are no current plans in place to do human trials, of course this remains a major future goal of our study." This work is just the latest development in the growing field of nanotechnology. In the U.S., the National Nanotechnology Initiative reports that the federal government has invested more than $22 billion since 2001 in research and development of nanotech in medicine other areas of science and engineering. Schmidt stressed that the purpose of his lab's work on spermbots is not necessarily to advance nanotechnology itself but to "solve a specific problem, namely the infertility of men that suffer from asthenozoospermia (immobile sperm)." About 10 to 15 percent of American couples experience infertility, and medical experts say male fertility problems are a factor in 40 to 50 percent of those cases. "For us, a desired implication of our work could be that people think about new methods of artificial fertilization that don't necessarily involve the explantation of oocytes (and subsequent in vitro fertilization and reimplantation)," Schmidt wrote. "In the long-term, this could lead to higher success rates for couples that want to have a child but are -- by current standards -- considered infertile. How much nanotechnology will be involved or become the norm in these processes is difficult to predict."